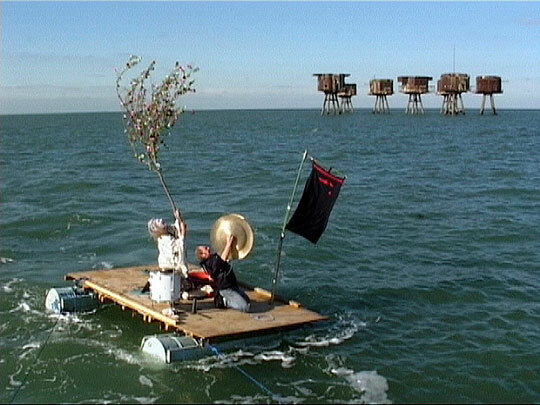 TAPS was a 2 screen composite film of over 80 collaborators who had worked with the late radical improvisatory artist, Paul Burwell. 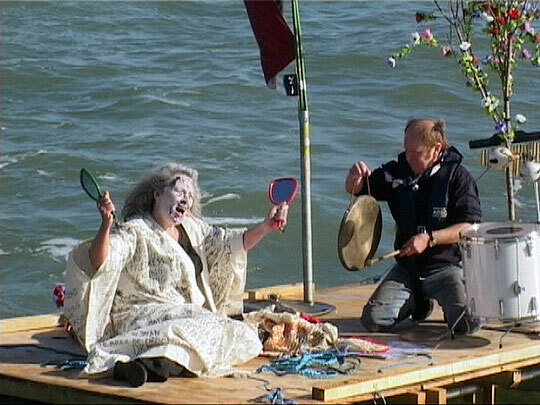 Each contributor made a short film or audio work, as a new collaboration for, about or with Paul. 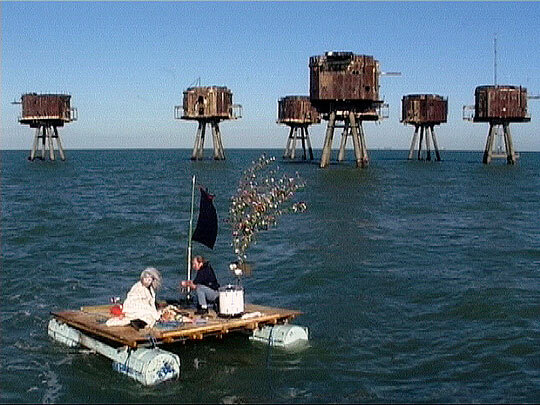 Richard Wilson’s contribution, Adventures in the House of Memory was performed out in the Thames estuary at the Haunting Maunsell Forts, involving Anne Bean, Miyako Narita and Richard Wilson.